By 1910 paediatric patients were looked after in a makeshift ward near the Seddon complex. 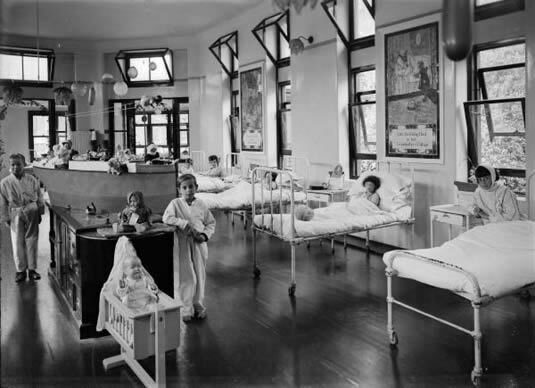 (The original children’s ward was by now occupied by the Xray Department and the Matron's Quarters.) In March 1910, Charles Luke, the retiring Chairman of the Board of Trustees observed that "one of the most pressing needs is a Children's Hospital." Later that year, the Board asked the Mayor to call a public meeting to consider fund raising for a Children's Hospital. A major campaign to raise the money was led by Mrs T M Wilford. 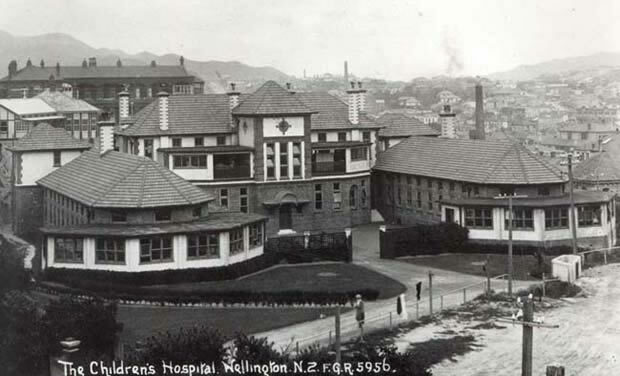 Through the generosity of public donations plus a contribution from government, a new Children’s Hospital was completed in 1912. It was named the “King Edward VII Memorial Hospital for Children” and was officially opened on 14 February 1912. It was situated directly east of the main hospital corridor though for some time separate from it. Such was the success of the public fund-raising, there was a surplus of money. £817 was therefore spent on installing a wonderful series of Royal Doulton tile panels inside the childrens' wards, two of which are seen in this photo.